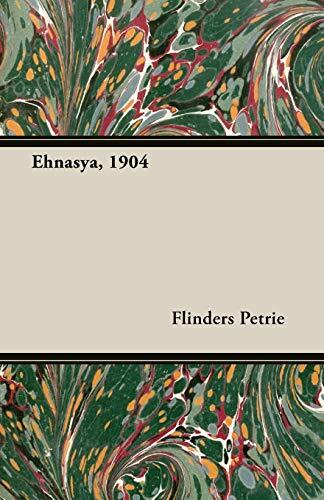 This early work by the British archaeologist, Flinders Petrie, was originally published in 1905 and we are now republishing it with a brand new introductory biography. 'Ehnasya, 1904' is a work detailing archaeological findings in Egypt. William Matthew Flinders Petrie was born on 3rd July 1853 in Kent, England, son of Wlilliam Petrie and Ann née Flinders. He showed an early interest in the field of archaeology and by his teenage years was surveying local Roman monuments near his family home. Flinders Petrie continued to have many successes in Egypt and Palestine throughout his career, most notably, his discovery of the Mernepte stele, a stone tablet depicting scenes from ancient times. His excellent methodology and plethora of finds earned him a Knighthood for his services to archaeology in 1923.